Like when I received a gift of soaps this year for the holidays. I liked the soaps... but loved the box! This is one of those easy projects that anyone can do. I hope this simple project makes you think out of the box. When you find something that can be turned into something else... give it a try! 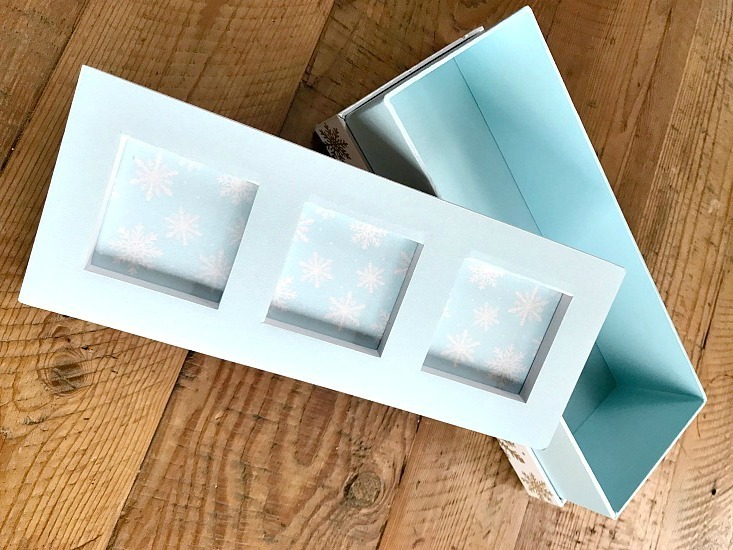 Not only did the box become part of my latest KonMari tidying up and purging obsession, but the inside of the box became my latest DIY project. How coincidental that this soap box had 3 cut outs and I have 3 cute grandsons?! 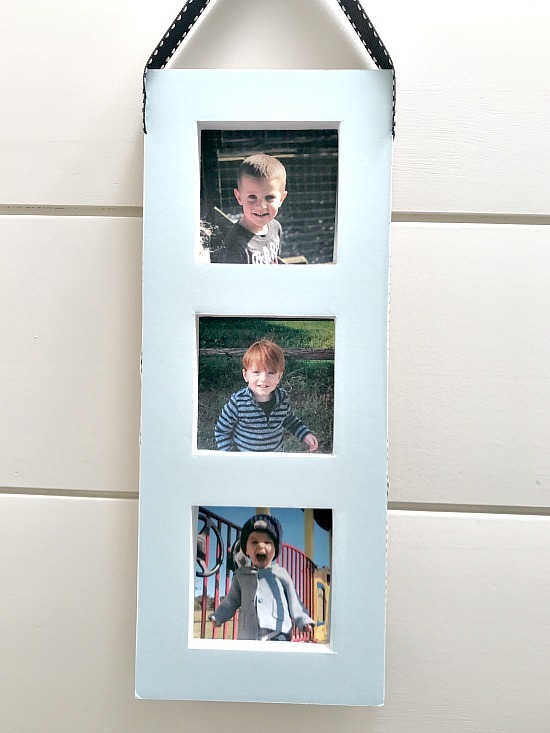 I made the cutest little frame by cutting out their photos and just popping them into the spaces. I wrapped washi tape around the edges and pinned a ribbon to the top as a hanger. It's the perfect little frame to hang on the recycled crib spring that hangs in the entrance to my kitchen. I hung this crib spring in my kitchen about 8 years ago. It catches all the latest family photos and special events for all to see. I use antiqued clothespins to hang them to the old rusty crib spring that is attached to the wall with screws. become special in this family. Update: As I write this post grandson #4 is due any day... I'm going to need a new frame! 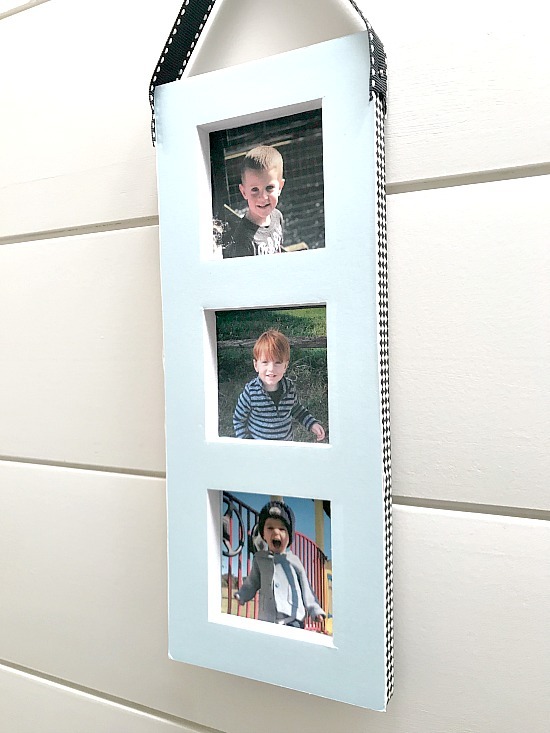 photo displays you can create! Homeroad DIY sent straight to you. Susan I love projects like this when you take the most ordinary thing that would normally end up in the recycle bin and transform it. This is a wonderful display. If only I had more wall space. Haha!! Just love it. 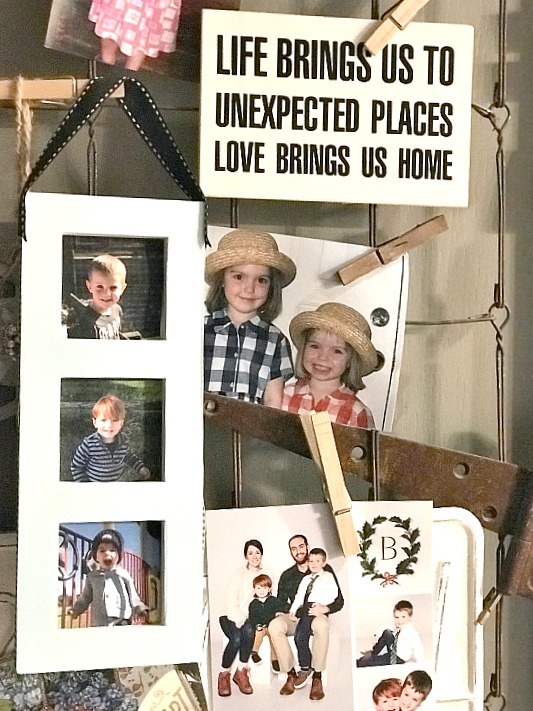 This recycled and repurposed photo display is amazing. Great sharing. Awesomeness. 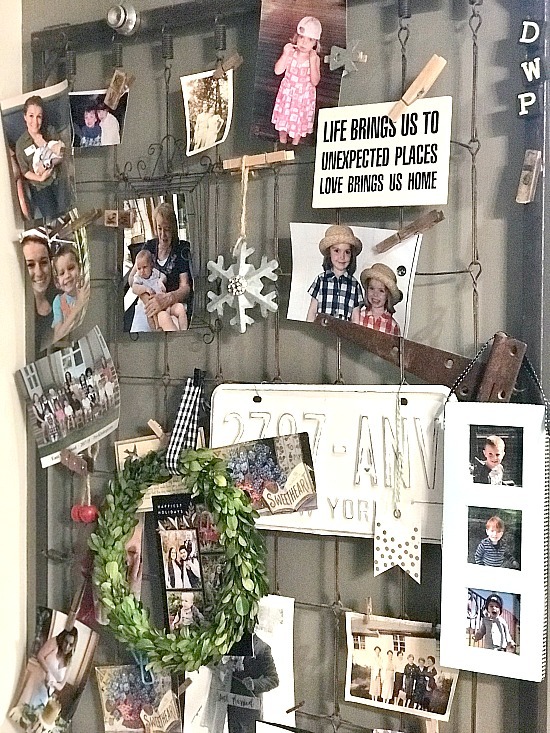 Love the whole look of your crib spring photo board Susan and that little soap inside bit fits perfectly there too. Hopefully you can find something similar when grandbaby no 4 arrives soon.